Ahh, the brownie: everyone knows it, everyone enjoys it, and it’s one of the most iconic desserts next only to the ubiquitous chocolate cake. Who doesn’t love chocolate? And brownies are undeniably made from chocolate, the most delectable ingredient around. You have probably had your share of brownies and can say that some brownies are better than most. But what makes the most delicious brownie, anyway? If you’re on a quest to find the best brownie ever, here’s your essential guide. All brownies are made with the same components, regardless of whatever add-ons are included in the end. For instance, even if you have a brownie with an ‘exotic’ ingredient such as sweetened coffee beans, it’s still primarily made up of chocolate, flour, and butter. So, don’t forget the essential components, which are flour, eggs, butter, sugar, a little salt, and, of course, chocolate, which brings us to our next point of discussion: choose your chocolate wisely. Many of us have made a batch of brownies for our loved ones, but we can’t deny that the brownies made by professionals are different. There’s just something about brownies made by someone who makes it every day from scratch. That being said, the brownie experts would tell you to choose your chocolate wisely. There are a lot of choices with the chocolates used in brownie-making, which includes unsweetened chocolate, bittersweet or semisweet chocolate, sweet chocolate, natural chocolate, Dutch cocoa, and high-percentage chocolate. If you have a taste for an extra-fudgy brownie, it’s best to go for bittersweet chocolate. Others would say that the best brownie would have a combination of sweet and semisweet chocolate. But in the end, everyone has their perspective – and their taste preference. If the brownie is made from chocolate and not cocoa, it will be firm once it’s cold. If it is made from cocoa, it will be soft when cold, since it doesn’t contain as much cocoa butter as chocolate and will merely have butter, so it will be softer. 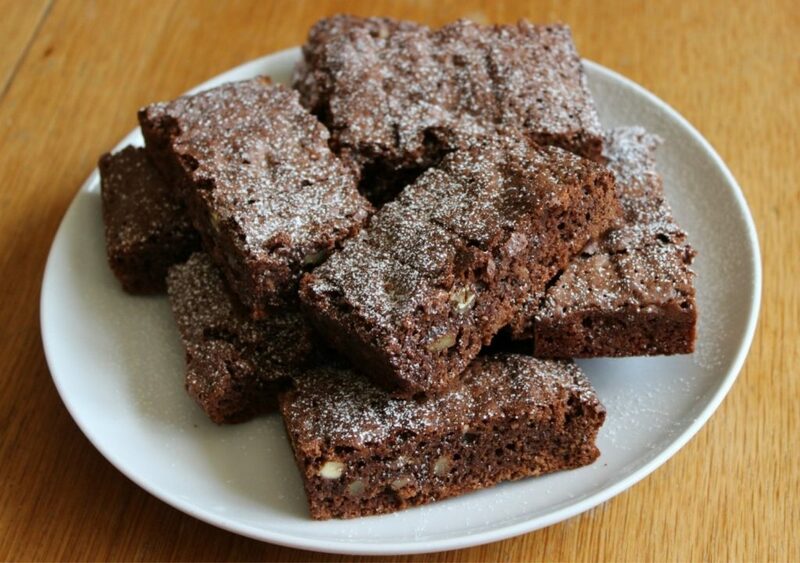 Brownies made with cocoa also tend to have more sugar which is granular, which adds to a crust which is crunchier. Some people like brownies with crusts and some do not. Again, it depends on your particular taste. But what gives brownies a crust is how much you beat the batter once you add the eggs. The more it’s beaten, the more likely it will develop a crust when it’s baked. Crusts can either be slight and hardly noticeable or pretty dramatic, with a puffed appearance that separates it from the brownie. This kind of dramatic crust is also lighter in colouring than the rest of the brownie. If you consider yourself a brownie aficionado, look for the elements mentioned above when you are deciding on your perfect brownie. The good thing about brownies is that you can go all out with the additional ingredients, too – from peanut butter to white chocolate, sea salt and caramel, cherries, walnuts, and kid favourites such as brownies dotted with M&Ms and with Oreo cookies mixed in. The choices are endless – and you can’t have just one. The good news is, you can easily indulge your brownie cravings nowadays and order brownies online – you can even have a brownie box filled with treats delivered straight to your door. Go ahead – you deserve it.